I stopped at Kroger last night after work. See, I really do understand that that’s not the best time for me to go shopping if I’m planning to save money. When I stop after work, I’m tired and half brain-dead, my trip isn’t planned as well as it could be, and I just want to go home. So why do I do it? Well, when I have just one day off, I don’t like to have to go out and be among people (because, well, because I’m around people all day, every day at work and I like a little time alone when I can get it). Knowing all of that, I still made the decision to shop after work. I guess that says something about what I value more…a day to myself over saving a few extra dollars. And I’ve decided that’s okay once or twice a month. Got the Cottonelle wipes and the Breakstone cottage cheese with coupons for free product. 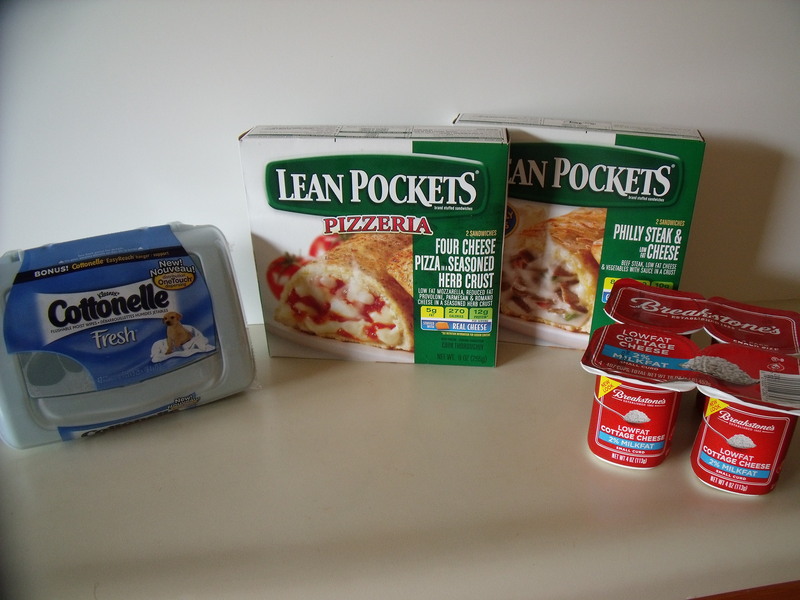 I was able to get the Lean Pockets free with 2 B1G1 coupons. I don’t eat a lot of the Lean Pockets, but they’re nice to have in the freezer for those mornings when nothing’s going right and I need something quick to take for lunch. So…what do you think? Are there times when you make the decision to spend a little extra in exchange for some free time? Do you feel guilty when you know you didn’t do as good a job as you know you could have? I guess these are all things we have to decide for ourselves, no real right or wrong..just what’s right for you today…happy shopping!! I have to admit, I didn’t do a lot of shopping this week. There wasn’t much that I needed and the sales weren’t particularly appealing to me. I did run in to PetSmart yesterday because I needed cat food and litter. 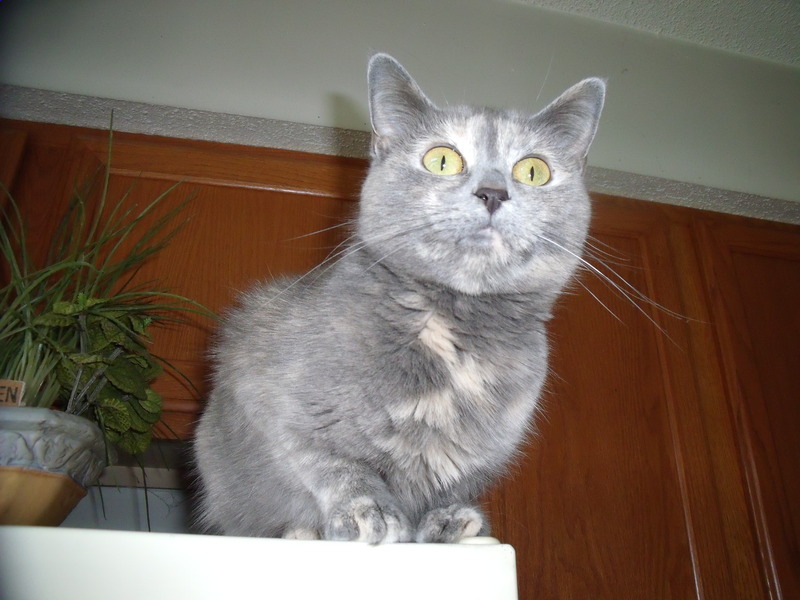 I had very few coupons (one for the Tasty Treasures Friskies canned food…my cats really, really like this food). I ended up spending about $26 for two weeks worth of food and litter. I swear, those cats don’t have a clue as to how good they actually have it! I’m going to have to search to come up with a bunch of coupons for my next trip to PetSmart…..maybe they’ll have one of those $5 off your entire purchase coupons soon…keeping my fingers crossed on that one! I didn’t go to CVS at all this week. I really didn’t see anything in the ad that I needed and I was so tired after work each day that I just wanted to go home. I’m pretty well stocked up on health and beauty supplies as well as cleaning supplies, so unless a great bargain presents itself, I’ll likely just skip the trip…well, unless I have expiring ECBs…I’m sure I can always come up with something to use them on…saw a couple of deals that I’m interested in for the ad that starts tomorrow, so I’ll just have to check out those ECBS. I did drag myself to Kroger this morning. I didn’t buy groceries at all last week, so I was in dire need of bread (I made waffles the other day so I’d have something to spread my peanut butter on before work for the latter part of the week), milk and produce. 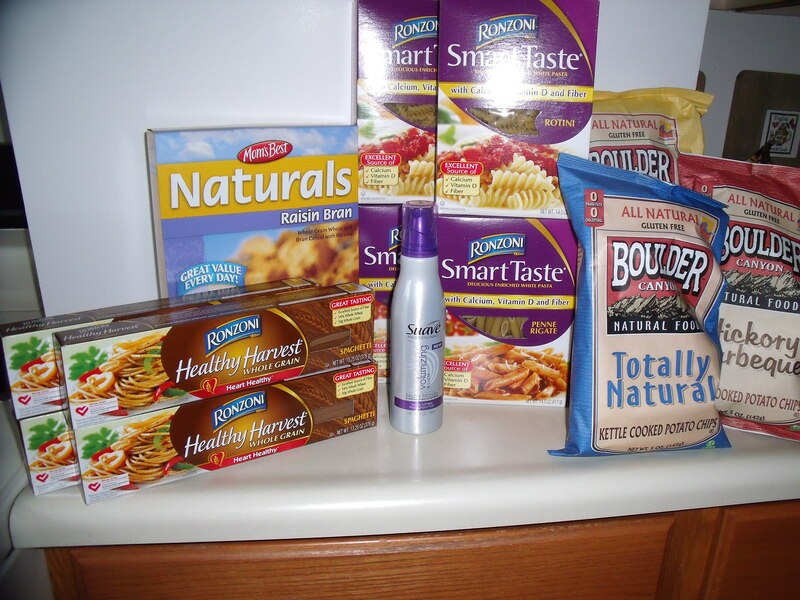 I did buy one transaction of the frozen foods mega-deal (fish, veggies, veggie burgers, a free box of the Stouffers farmstyle meal for one, a free box of Magnum ice cream bars as well as another box that I had a $2 coupon for). My freezer is fully stocked, so I won’t be doing that transaction again any time soon. I bought a lot of fresh produce…had intended to go to the farmers market, but was in quite a bit of pain this morning, so settled for getting everything at Kroger. Mmm…fresh cherries, strawberries, blackberries…I love fresh fruit when you can find something that tastes good other than apples, oranges and bananas. I also bought another heirloom tomato plant and a Cubanelle pepper plant…hope to get both of those planted tomorrow. This little Kroger store in my neighborhood has a lot of locally grown heirloom plants for sale. It seems like they do a much better job with that than the other, larger stores in town. I ended up spending $77 today, saving $54. Not my best trip, but not too bad considering this was two weeks worth of groceries along with the plants, a book (I know, I know…I just couldn’t resist the new paperback by one of my favorite authors), and 2 packages of Angel Soft TP…oh, and the 4 6-packs of diet Pepsi. One of these days I’m going to kick that habit for good, just not today. But at least I got the shopping done for the next week or so, and bought a lot of healthy food to last me a while. Now to figure out what to cook to take to work next week. Oh well, I’ll worry about that tomorrow! Ran into CVS early this morning. I wanted to get the Ziploc bags since I just used my last one yesterday. I also had my $5 off of a $25 purchase coupon that I wanted to take advantage of. Yesterday, I received my John Frieda hair color coupon (good for a free box, and that stuff is kind of expensive…it was on sale for $12.49 and I paid nothing for it, except tax). So I knew I was going to be able to hit the $25 threshold easily, and I did. My order would have been $38.75. I ended up paying $3.22 after coupons and ECBs…and came away with another $4 in ECBs for a future purchase. 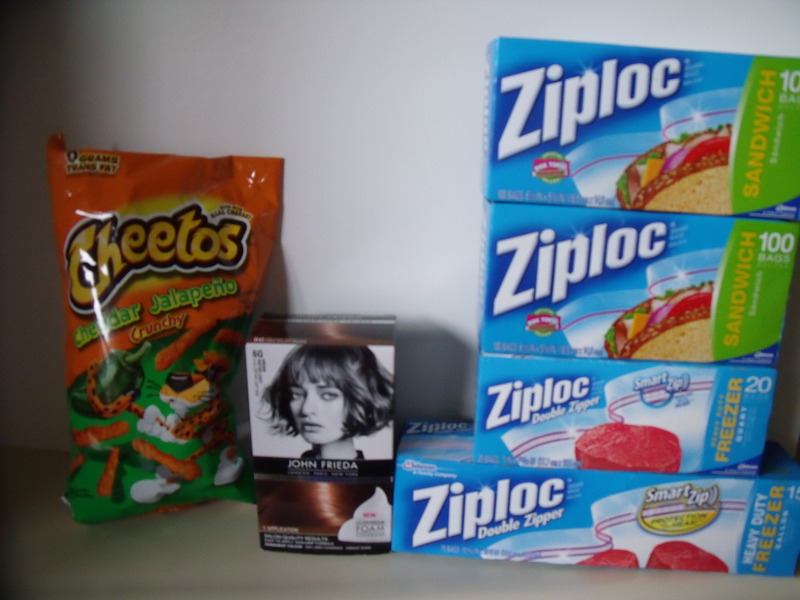 So, not bad for 2 boxes of Ziploc freezer bags, 2 boxes of Ziploc sandwich bags, a box of hair color, 2 bags of Cheetos (I left one at work), and a bottle of iced tea (drank that at work). Who says Friday the 13th brings bad luck? They obviously weren’t shopping at CVS today! My early morning shopping trip at Kroger turned out to be another good one. I had my list, my coupons, my plan for the mega sale, and what to substitute if they were out of stock on my first choices. I was fortunate to find everything on my list in stock, so didn’t have to change my plans. It’s always nice when it works out that way. I was able to take advantage of the mega sale savings (buy 10 of certain items, get $5 off) twice. 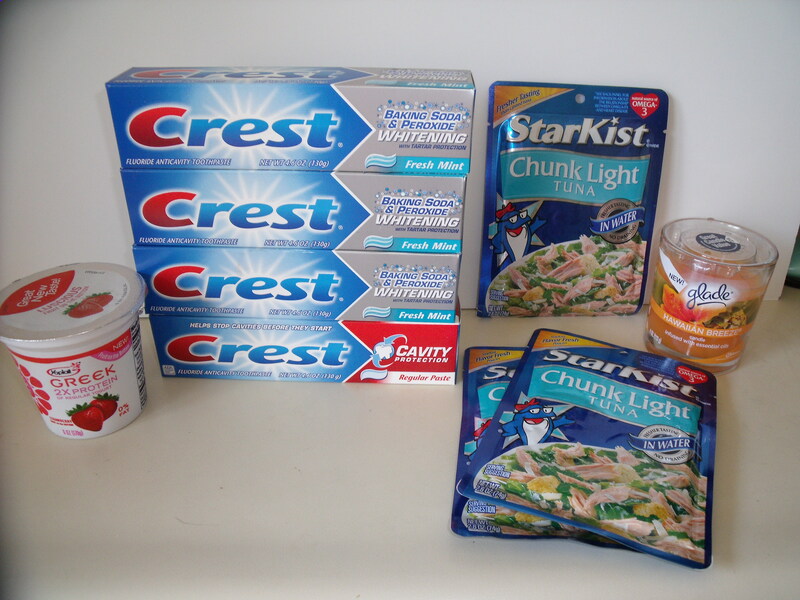 In doing so, I was able to purchase several items to donate to the Stamp Out Hunger food drive next Saturday. I’m really excited that I already have 40 items to donate. 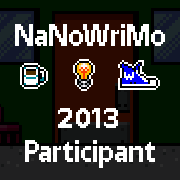 My goal is to donate 50 items, so I’m getting closer. I was able to snag a few freebies today too. Notice the 8 boxes of pasta that will go to the food drive. I still need to buy some pasta sauce and/or some condensed soup for pasta dishes. The Suave mousse was from a free facebook coupon. I think I’m probably set on mousse for a while now. The Boulder chips were also all free with coupons. The raisin bran cereal wasn’t quite free, but it was only 24 cents which I thought was a pretty good deal. 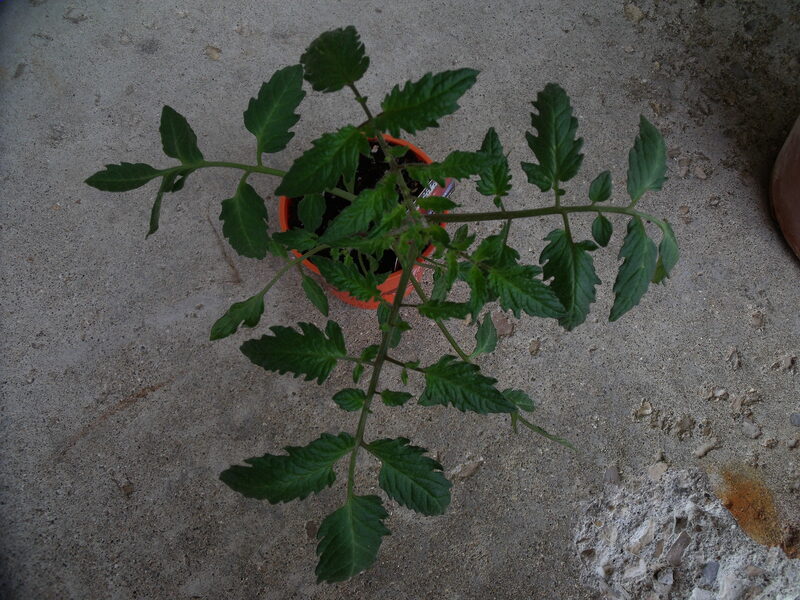 I also bought an Amish paste tomato plant this morning. They really had some nice looking plants, but I was able to exercise a little control and only bought the one plant. I’ve already got several tomato and pepper plants growing that I started from seed. My neighbor is giving me a few as well, so I can probably get by with what I have…well, unless I come across something that sounds too interesting to resist. I ended up spending $58, $8 over my budget. Still not too bad considering I ended up buying powdered milk at right around $10. I use it in my cooking and sometimes in my tea or coffee. I imagine I won’t have to buy it again for the rest of the year tho, so I’m okay with that. My savings ended up being exactly 50%…not bad, not bad at all. It sure beats the $100-$120 a week that I was spending! After a really long day at work today (and did I mention that it was crazy busy? 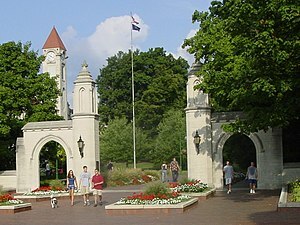 oh my, graduation weekend at Indiana University and the town is hopping), I decided I should try to make it over to CVS since I haven’t been in a couple of weeks. I didn’t need a lot, but I did have some ECBs that were about to expire. We all know we can’t possibly allow that to happen. That’s the same thing as throwing money away…no, no, no…we don’t ever do that. So I made a hurried little shopping trip. I knew I needed hair spray. A while back, for some reason, I bought hairspray that was extra hold formula. I hate it! But that’s what I’ve been using the past couple of weeks while waiting for a decent sale. So, when I saw that CVS had Pantene styling products on sale this week 2/$6.97, combined with a $3/2 coupon, I knew it was time to make the purchase. Getting $1 ECB was just a nice extra. Yea! No more stiff hair! The hair color I use was also on sale. Granted $7.99 isn’t the best sale price I’ve ever seen on it, but I did have a $3 coupon and I earned $2 in ECBs. All of a sudden, the price looks much better. And then there was the splurge item. Those darn jalapeno Cheetos…just gotta love ’em! I didn’t need them, but I sure do like them. After using my manufacturer’s coupons and $10.74 in ECBs, I ended up paying $2.76 out of pocket…a savings of 89%…very cool! And I ended up earning $9 in ECBs. 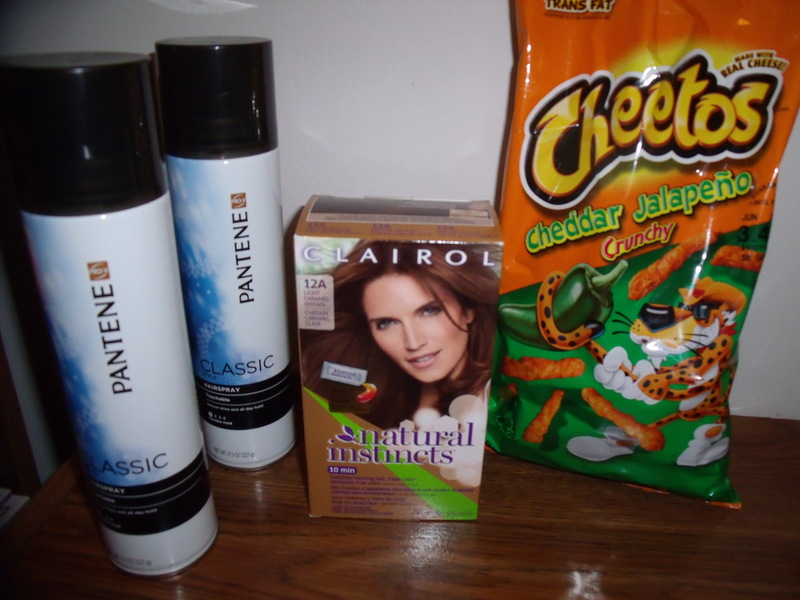 $1 from the Pantene deal, $2 from the Natural Instincts deal, $1 from the green bag tag and a surprise $5 from the Beauty Club spending! With what I still had left in ECBs, I’m ready for the next big sale! I had to go grocery shopping today. I went to my favorite little neighborhood Kroger, really early because the maintenance guys were coming in to clean out the ducts in my townhouse. So I was there and back before 8 am! For the first time in a long time, I bought only good for you food…lots of fruits and veggies, rye bread, fish, and my guilty indulgence, Laughing Cow cheese. I also managed to come away with a few freebies today.. The Crest was on sale for $1 a tube…I had coupons for either 50 cents (which double to $1) or $1 off per tube. So all of the toothpaste was totally free..I’ll keep two and donate two. The tuna was also on sale for $1 a package…I’ve been printing coupons from Starkist’s facebook page on Fridays, 50 cents off/package which Kroger again doubled, making the tuna free. I’ll print a couple more tomorrow so I can get a couple more before the sale ends. The Yoplait Greek yogurt was a Catalina that printed out the last time I bought Yoplait original yogurt…one free carton. 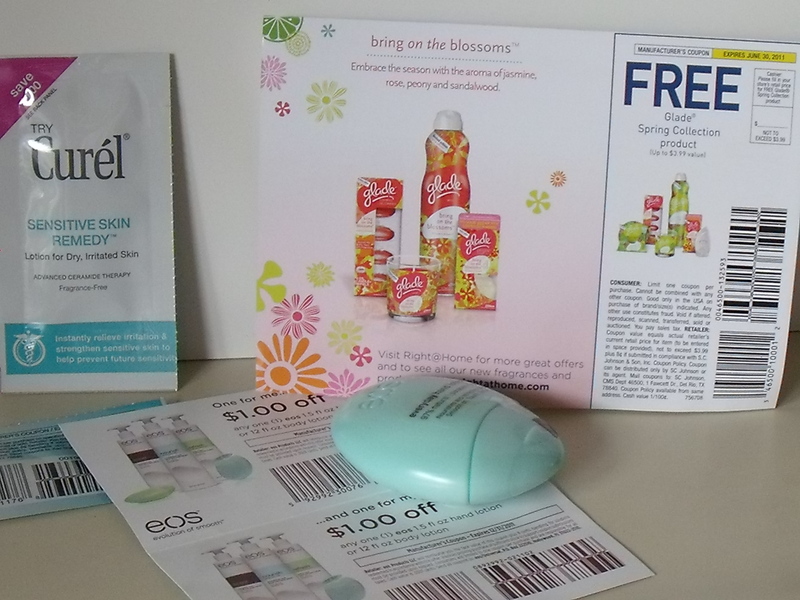 The candle was a coupon that I received in the mail from Glade for one free item from the new spring collection. I thought the candle smelled nice and I burn a lot of candles, so a free one is extra nice. I ended up saving 47% on my total purchase which is pretty good considering I bought so much fresh produce (oh, the Dole salad mixes had peelies on some of them for $1 off of two…I like it when I can find produce coupons). I’m slowly making my way back to eating healthy and exercising daily…one day at a time, one step at a time! I love getting free stuff! When the rain let up for a few minutes today, I walked down to the mailbox and was excited to come back to the house with a bundle of mail…several magazines (okay, technically those aren’t freebies, but I enjoy them), a sample of Curel (with a coupon), a coupon for a free Glade product from their new spring collection, and my favorite goodie of the day…the full-size container of EOS hand lotion that I won on a Facebook contest. I had never used the EOS hand lotion (and isn’t that just the cutest little container that it comes in? ), but I really like it. I’ll definitely be using those coupons..yeah, yeah, one of them says to share with a friend, but that’s not going to happen!